iPal Is a Smart Camera and a Next-Generation Personal Digital Assistant! Imagine having a personal assistant that sees exactly what your eyes see and do. Its eyes are your eyes. iPal is intelligent and can assist you in many ways, because it knows what your eyes see and do, tracks only things that are important to you, and therefore anticipates your needs. Using the processing power of a computer, iPal makes sense of information you see and uses that information to help you. With such power, the possibilities for iPal are endless. Just imagine what you can do! And it looks good too. It offers style, customization and affordability. If you are enjoying an experience, you can capture it with a wink or a blink. Hands free. Attention free. 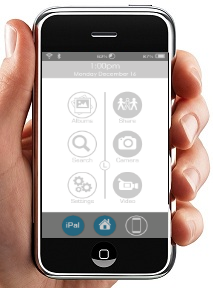 iPal even streams live video to your friends and family. From use as a simple camera, to apps that deliver telepresence, driver assistance, and image recognition and retail searches, iPal works with Android, iOs or Windows smartphones to assist your daily needs. Read more. 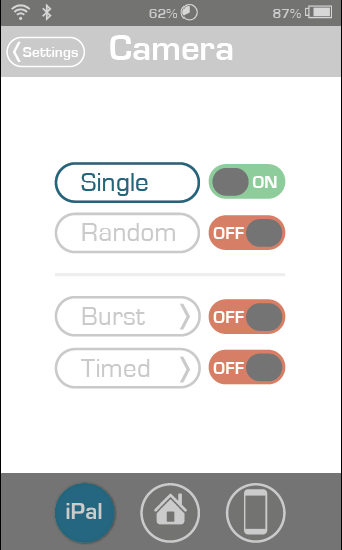 With a published SDK and numerous apps, iPal can fit lifestyle. iPal has four cameras embedded in the frame. 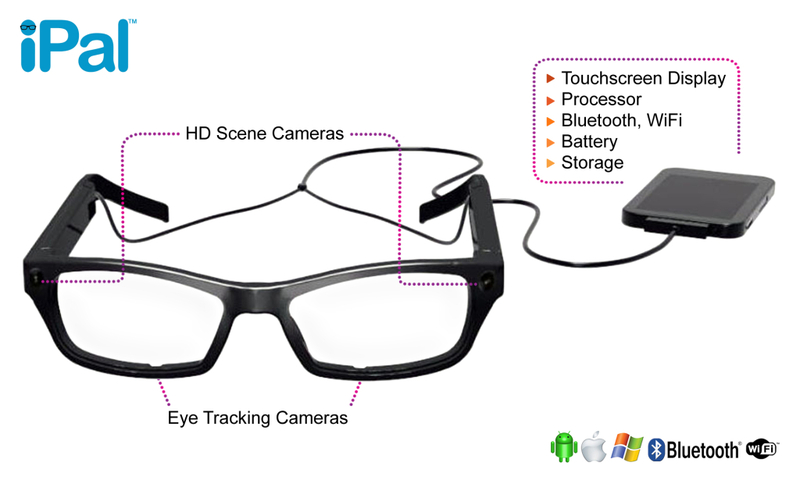 Two eye tracking cameras see what your eyes do, and two HD cameras view the scene in front of your eyes. These scene cameras can also zoom. 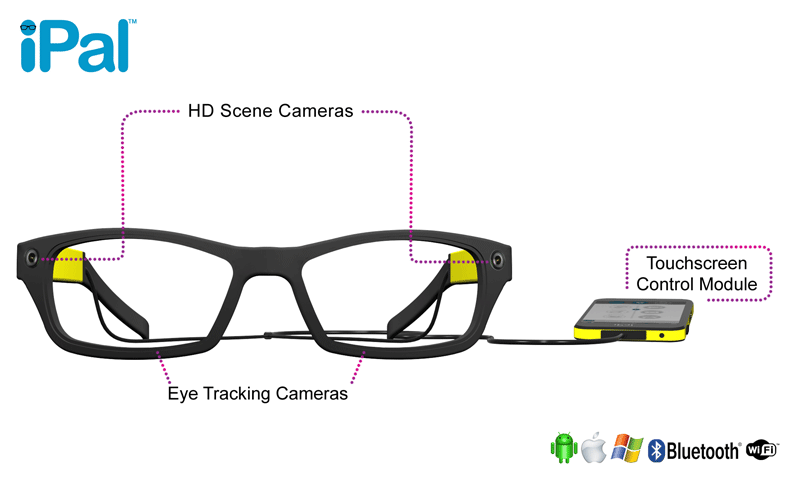 iPal uses your eye gestures as a control mechanism, allowing a hands-free, attention-free experience. 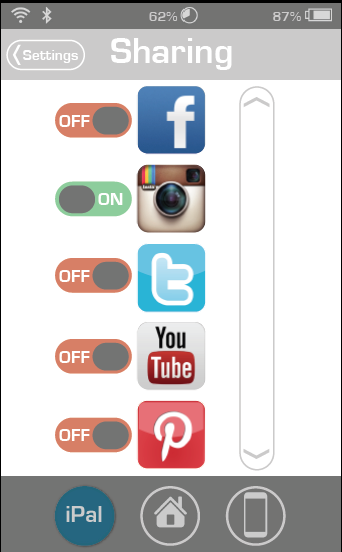 Share photos and videos automatically to any one or more social media platforms. 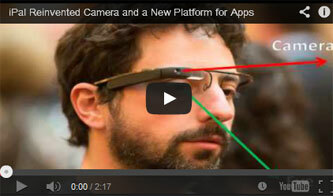 The iPal app also allows personalization of the camera’s image capture and eye gesture control settings. Copyright 2014 All Rights Reserved iPal is a licensed trademark of iPal , Inc.